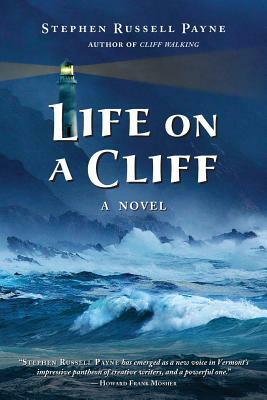 Life On A Cliff is the highly-anticipated sequel to Payne's award-winning novel Cliff Walking. Famous seascape artist Francis Monroe has come to love Kate Johnson and her artistic son Stringer, who were tracked from California to Maine by their abusive husband and father, Leland. After surviving a brutal attack and a subsequent grueling trial, Francis assumes they can all enjoy a normal life together. Kate, however, is anything but settled as her old demons of addiction and self-destructive behavior threaten to destroy the good life they have fought so hard to create. Set on the breathtakingly beautiful coast of Maine, Life On A Cliff explores how deeply rooted we are in our established ways and that change, in its many forms, can be exceedingly hard to accept--even if it is for the better.